Facebook New Video AutoPlay Feature on Web: Should You Be Scared? 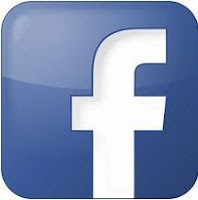 Home / facebook / features / Tips / Facebook New Video AutoPlay Feature on Web: Should You Be Scared? Facebook On Plays now plays Video Automatically on PC in their Latest Updates. In a series of new features being enabled on Facebook in the latest updates, videos are now automatically played when you visit the Facebook page on Web (not on mobile or app), this means it no longer wait for you to click to play. However, you can disable the video autoplay easily. This feature is enabled now by default and this is bad news for users on metered internet connection as this mean more data is being used up even when you have no intention of watching the videos. Facebook have been accused of not being data efficient on both mobile and desktop but this latest features has really raised the bar. However, the goodnews is that the video autoplay feature can be switch off from the settings menu and you must do this immediately to keep your data consumption low. However, for users on umlimited internet connection, this is an innovation as videos on your news feed will already be ready to play before you scroll to its location. To disable this new Facebook video autoplay feature, go to Settings on your PC, then on the left pane, go down to “Video” and click to open the Video settings. 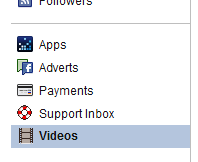 Finally, click to bring up the option which you then choose “OFF” to disable the Facebook video autoplay feature. Another new feature allows you to publish stuffs on Facebook without it showing on your personal wall. This new feature is interesting because you can choose to posts stuffs that you wouldn't need to be seen on your wall however in appears as Facebook information feed and search results. This new feature is only available on the Facebook web not yet on mobile nor app. How Can I Use Facebook new posting feature? Open Facebook on your favorite web browser on PC, click the comment box to begin writing a status at the top of the news feed, you will see a new take a look at field for hide out of your timeline as indicated in the screenshot above. Tick the field and your status update can be published to the news feed while bypassing your timeline. Use Facebook efficiently and save on data while enjoying the features. I wish want to see the effect of this feature on data consumption.